First, let’s dismiss the notion of what’s best, because I think that’s relative to the writer and how he or she executes the story they’re trying to write. 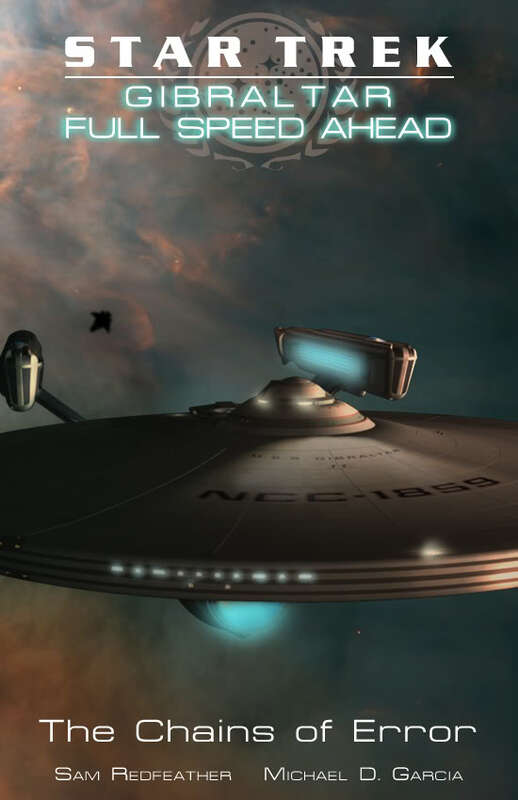 A good writer could write a lone figure or an ensemble, part of Enterprise‘s crew or an entirely new ship/class/setting. The universe is the limit when it comes to writing stories in this subgenre. Personally, I prefer to avoid using canon characters. The most I’ll do is perhaps take a once-seen or seldom-used recurring character from a series and expand the role or character a bit more for the purposes of telling the story, but quite honestly, I think that using an entirely original character concept that I’ve sat down and fleshed out provides me with far more freedom in interpretation than taking a feature character and writing them instead. In other works, you’re lifting the character wholesale from the show and then you have to ensure that you have a good sense of who that character is from the actor’s portrayal. And the list of authors who can do that is very very slim. Steff is exceptionally good at Scotty, for example, so she’s on that list. Sam’s also good at doing his bits with the TNG crew, Riker especially. 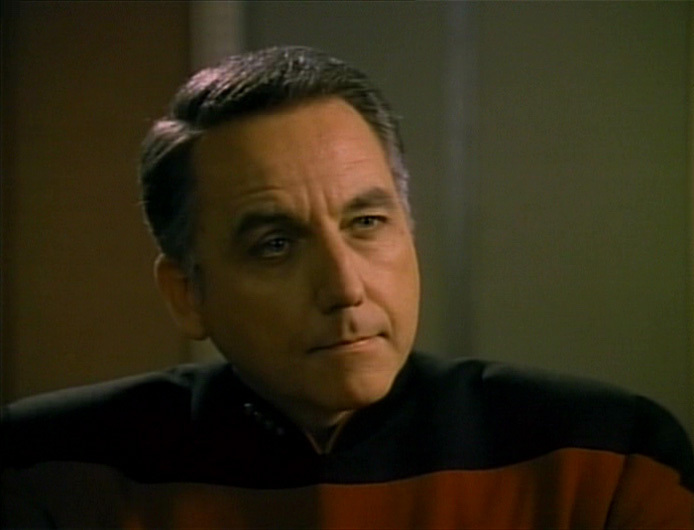 Bob Gunton as Benjamin Maxwell (TNG: The Wounded). I’ve attempted this with Captain Benjamin Maxwell from the TNG episode, “The Wounded.” For four episodes of Full Speed Ahead, he is present either in person, by subspace, or even in spirit as Leone and her crew report to him on their adventures along the border. The brilliant character actor Bob Gunton, who is probably best known for being the prison warden Samuel Norton from The Shawshank Redemption, has roughly sixteen minutes of screen time in that episode. But in those short minutes, his abilities really managed to soar in his brief exchange with both Patrick Stewart’s Picard and Colm Meaney’s O’Brien. In doing so, you didn’t just get exposition on Maxwell… you also got insight into both Picard and O’Brien. That’s writing taken to another level by the efforts of the guy on the screen. And so, I watched and rewatched those scenes in order to get a good understanding of the kind of captain that Maxwell was. I wrote the exchange between Maxwell and Leone in “The Unreturned Prodigal” and even then I was met with some resistance within the UT group itself about how I wrote him far too tough. There were a few more revisions, then I published and even then I still got some negative feedback on usage. So, though we might try our best, we’re still subject to how readers feel about characters. I’m sure even Steff faces from opposition to her portrayal of Scotty; she can’t possibly please everyone. I think that my Star Trek is different from a lot of readers and authors’ interpretation of Trek. I personally strive for credibility in representing military organizations, so that means that I infuse a lot of characters who’re considered “lower decks.” Because on real naval ships, it’s the enlisted folks who do the work, not the officers. 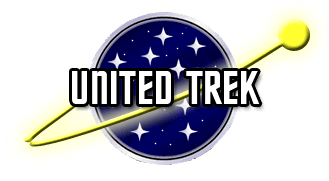 In Trek, you can’t rightly pay for a cast of a thousand people, so you have the officers doing all the grunt-work that a poor crewman would usually do. The Chief Engineer roaming the Jeffries Tubes? Never happens outside of a high-level inspection. They have chiefs and petty officers who take care of that, and rightly so. Officers are managers. Enlisted are the people who execute the manager’s orders. It’s as simple as that. I’ve been told my Trek isn’t actually Trek. I’ve been told that I’m trying to marry Honor Harrington into Trek at times, with an adherence to the military ceremonies and traditions. I don’t agree, and if I did, then I wouldn’t have used the words Star Trek in my title. I don’t honestly know if there’s a big bright line of Trek and non-Trek. We have viewers who claim DS9 isn’t really Trek. I think it’s subject to perspective. I reject the premise of both questions. Because we work in fanfic, the only way it could become canon is it CBS TV buys it and produces it for television. Even the Pocket novels aren’t canon. Convert to original? At no time is it an original character. You are literally subverting a creation of another writer’s imagination. Again, I have to reject the premise of the question. That’s a rather specific question. Can it be salvaged? Depends on the skill of the writer and where the weakness in the story really is? Was it in the portrayal or was it in the premise of the story? We’re really obsessed with Mary Sue/Gary Stu. Look, writing is an extension of personal expression and for some writers, it can be an escape for themselves. Which results in a Mary Sue-type character, because when we try to accomplish something, we want to be successful at it. This results in a character that may be an extension of ourselves and like in a video game, we want to be the best/highest level/superpowered/awesome version of us. Nothing really wrong with that, especially if we’re writing for ourselves and not others. I try very hard not to have favorites when I create characters. I tend to fall in love with plots than I do characters, because I can’t throw a plot at a group and then write their reactions as I interpret them from their sketches/personalities. I know that in the beginning of the FSA original run (2008/2009), some readers were pointing out that Leone/Ariel was clearly my favorite duo. In order to dissuade people from assuming too much about my aims with the characters, I killed Ariel off and sent Leone into an emotional tailspin. In that, I’m happy to keep Joss Whedon company insofar as reminding my readers that I hate people. Characters serve their purposes on my watch. This is a much better question to ask. I love all the original settings I created. Otherwise, I wouldn’t have written them. And as far as I know, they worked just fine. Sam Redfeather’s Gibraltar series. Sam should be a pro author and there are very very few people in the Trek fanfic community who dare come close to his level of prose. Specifically, I loved reading Lianna, Pava, and Sandy. They worked very well together. I will continue to read his stories because of the fact that he manages to do a great job of weaving together plots. I know he and I differ on presentation, but that’s okay. Plus, it helps that we’ve collaborated together… but then when I work on a project, I only work with the best.